Junior researcher, Institute of Philosophy and Law, Ural Branch of Russian academy of sciences, Ekaterinburg. The author analyzes the legal nature of public hearings and their main characteristics. The article describes the main types of public hearings as the institute of deliberative democracy and shows possibilities of its implementation. Keywords: public hearings, deliberative democracy, characteristics and concept of public hearings, types of public hearings, significance of public hearings. 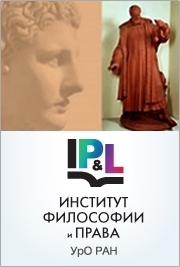 The article analyzes the institute of public hearing in the context of development of deliberative democracy institutes, describes history of formation and development of deliberative democracy institutes in Russia and foreign countries and examines the status of present-day Russian public hearing legislation. Keywords: public hearing, deliberative democracy, history of formation and development of the institute of public hearing, public hearing legislation.